The Saudis have charged 11 people but deny the crown prince was involved. Washington: US senators say they are more certain than ever after a private CIA briefing that the Saudi crown prince had a role in the murder of a journalist. In a blistering attack, Senator Lindsey Graham said he had "high confidence" Mohammed bin Salman was complicit in the killing of Jamal Khashoggi, BBC reported. The South Carolina Republican described the Saudi royal as "a wrecking ball", "crazy" and "dangerous". Members of the Senate's Committee on Foreign Relations did not mince words after the briefing by CIA Director Gina Haspel on Tuesday. "There is not a smoking gun - there is a smoking saw," Graham said, referring to Khashoggi's alleged dismemberment in the Saudi consulate in Istanbul in October. The senator said he could not support Saudi Arabia's involvement in the war in Yemen or arms sales to the Saudi government as long as the crown prince remained in power. Senator Bob Menendez, a New Jersey Democrat, echoed those views. He said the US must "send a clear and unequivocal message that such actions are not acceptable in the world's stage". Another senator, Bob Corker, told reporters, using the crown prince's initials: "I have zero question on my mind that the crown prince MBS ordered the killing." The Tennessee Republican added: "If he was in front of a jury, he would be convicted in 30 minutes. Guilty." Corker suggested that US President Donald Trump had condoned the murder of a journalist by refusing to condemn the Saudi crown prince. 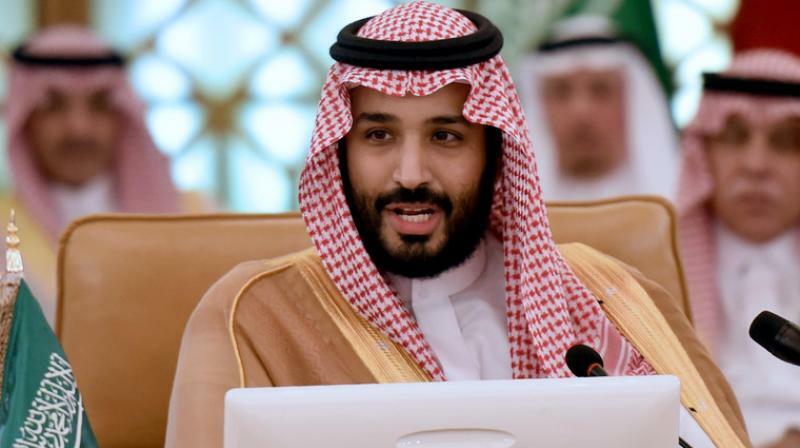 Fellow Republican Senator Richard Shelby of Alabama said: "Now the question is, how do you separate the Saudi crown prince and his group from the nation?" The Senate is planning to vote on a proposal to end US military support to the Saudi-led coalition fighting in Yemen, after members of both parties advanced the resolution last week. Senator Chris Murphy, who was not privy to Tuesday's briefing, criticised the Trump administration. "Not everything needs to be secret," the Connecticut Democrat tweeted. "If our government knows that Saudi leaders were involved in the murder of a US resident, why shouldn't the public know this?" The CIA has concluded Mohammed bin Salman "probably ordered" the killing of Khashoggi. The spy agency has evidence he exchanged messages with Saud al-Qahtani, who allegedly oversaw the Saudi reporter's murder. The CIA director -- who has reportedly heard an audio recording of the murder -- did not attend a recent congressional briefing by cabinet members, dismaying lawmakers. The White House denied having a hand in Haspel's conspicuous absence, and the CIA said no one had told Haspel not to attend. At last week's hearing, Secretary of State Mike Pompeo and Defence Secretary James Mattis told senators there was no direct evidence of the crown prince's involvement in Khashoggi's death. Trump has said the CIA findings on the crown prince were not conclusive. On November 20, he said: "It could very well be that the crown prince had knowledge of this tragic event - maybe he did and maybe he didn't."